How can Live Chat benefit your consulting business? Time is a key factor today and customers tend to use those services where they get best quality, fast and efficient support. Whether you offer legal service, medical consulting, engineering consulting or run independent expert consulting business, Live Chat can become a good addition to your expert help service. Choosing the right communication channel. Consumers are increasingly using a number of interaction channels and Live Chat is one of them showing significant growth and popularity. But how to choose the right communication tool? For consulting business Live Chat can become a primary communication channel, gradually replacing phone consulting as Real Time Chat is less expensive and you can provide your expert advice from any location and any computer connected to the Internet. How to take the most out of Live Help Chat? 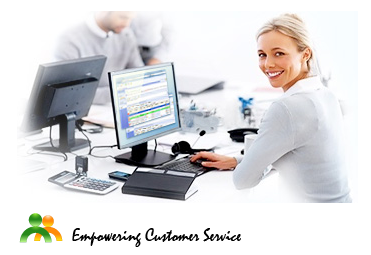 When choosing Live Chat Software provider, you should pay close attention to the set of available features. It is important to have a possibility to handle several Live Chat sessions concurrently, pass chat requests to other experts and exchange documents with your customers right in the chat window. Real Time Visitor Monitoring feature will let you see which website pages your customers are on and with Co-browser feature you will have an opportunity to navigate them through your website. Additionally, an ability to upload your picture and add your position will let clients feel confident that they speak to the right person and get individual assistance with their questions. Provide Support Live Chat software will be the right choice for your consulting website as it has a rich set of features which will help you offer best quality consulting service through Real Time Chat. This entry was posted in Articles and tagged live chat for consuting business. Bookmark the permalink.